Is Frank Ocean Gay or Bisexual? Who is his Boyfriend, Girlfriend? Home Musicians Is Frank Ocean Gay or Bisexual? Who is his Boyfriend, Girlfriend? Frank Ocean is a Grammy Award-winning singer who started off his career as a songwriter for artists like Beyonce and Justin Bieber before joining hip-hop group Odd Future and creating his own critically acclaimed works. He is best known for the album ‘Channel Orange’ (2012) which debuted at number two on the Billboard 200. Read on to find out more about the singer’s early life, his sexual orientation, and accomplishments. Frank Ocean was born Christopher Edwin Breaux to Calvin Edward Cooksey and Katonya Breaux on October 28, 1987, in Long Beach, California. He, however, grew up in New Orleans, Louisiana after his mother’s family decided to move there. Ocean began to fall in love with music as a teenager, having been exposed to New Orleans’ renowned jazz scene as well as his mother’s R&B music collection which included artists like Anita Baker and Celine Dion. While in high school, Ocean washed cars, mowed lawns and walked people’s dogs as a way to save money and pay for studio time. He also bought some studio equipment to record himself. After graduating from high school in 2005, he enrolled at the University of New Orleans, but his stay there was cut very short because of the devastating effects of Hurricane Katrina. His studio equipment was also destroyed by the flood with whatever that was left being looted. This prompted Ocean to put his academic ambitions on hold and move to Los Angeles to pursue a career in music. With the intention of staying for just a short period of time in LA, Ocean was surprised about the advancements he had made so, he decided to stay longer. He got an insurance claims processing job to help him stay afloat until he was able to meet a few music industry heavyweights who helped him get a songwriting deal. Frank Ocean notably contributed to the writing of Justin Bieber’s “Bigger” before co-writing Beyoncé Knowles‘ “I Miss You”. He said the income from songwriting was very satisfactory as he also enjoyed the anonymity that came with it until he realized he was meant to do great things. In 2009, he went on to join Los Angeles-based hip-hop group Odd Future and became close friends with one of its members Tyler, The Creator. The group made waves on the local music scene and led to Ocean meeting music producer Tricky Stewart who helped him sign a solo artist contract with Def Jam Recordings in late 2009. By February 2011, Franck Ocean released his first project, a mixtape titled ‘Nostalgia, Ultra’. He did so without the assistance or knowledge of his record label who, according to him, had not been supportive of his work. The subject matters on the mixtape which centered on interpersonal relationships, personal reflection, and socio-cultural policies earned it critical acclaim and also got the attention of Jay Z and Kanye West who subsequently featured him on two songs in their collaborative album ‘Watch the Throne’. In July 2012, Frank Ocean released his debut studio album titled ‘Channel Orange’. Within hours of its release on iTunes, the album climbed to the number 1 spot on the Top Albums chart and like his first mixtape, it received critical acclaim as well as comparisons to people like Stevie Wonder & Prince. The album debuted at number two on the Billboard 200 and went on to win the 2013 Grammy Award for the best urban contemporary album. In August 2016, Ocean released his second album titled ‘Endless’ which debuted at number one on various charts across the world, including the US and UK. Despite receiving critical acclaim, Ocean chose to not promote the album or even submit it for consideration at the Grammy Awards. Is Frank Ocean Gay or Bisexual? 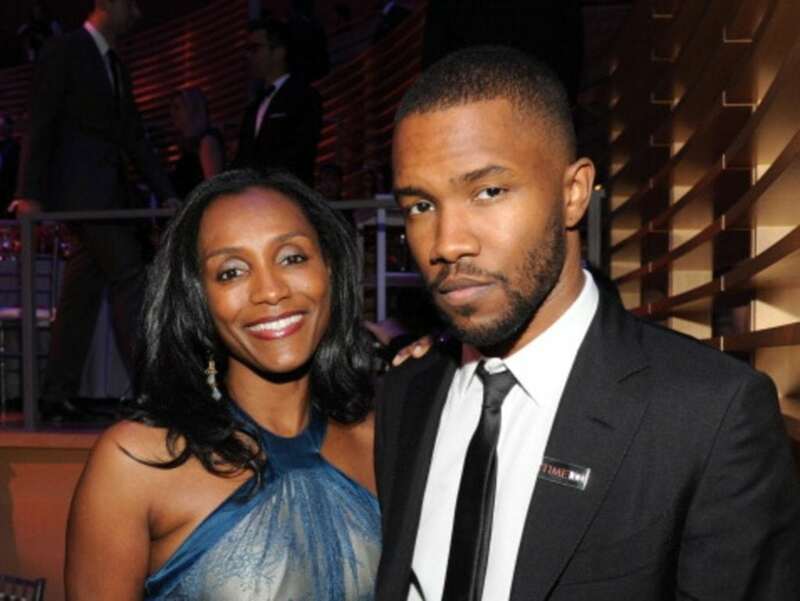 In July 2012, just before Frank Ocean released his first studio album, he published an open letter on his website which stated that he has, in the past, had feelings for both men and women. He talked about a certain young man from his past who he described as his first true love although the feelings were not reciprocated. It would be accurate to go ahead to describe Ocean as Bisexual, however, he also indicated in that letter that his orientation should not be labelled. Who is his Boyfriend, Girlfriend? Frank Ocean is said to be dating his former close friend Memo Guzman after reportedly breaking it off with French model Willie Cartier. Ocean and Guzman were recently spotted out together at the MGM Grand in Las Vegas to watch the Floyd Mayweather and Conor Mcgregor fight.